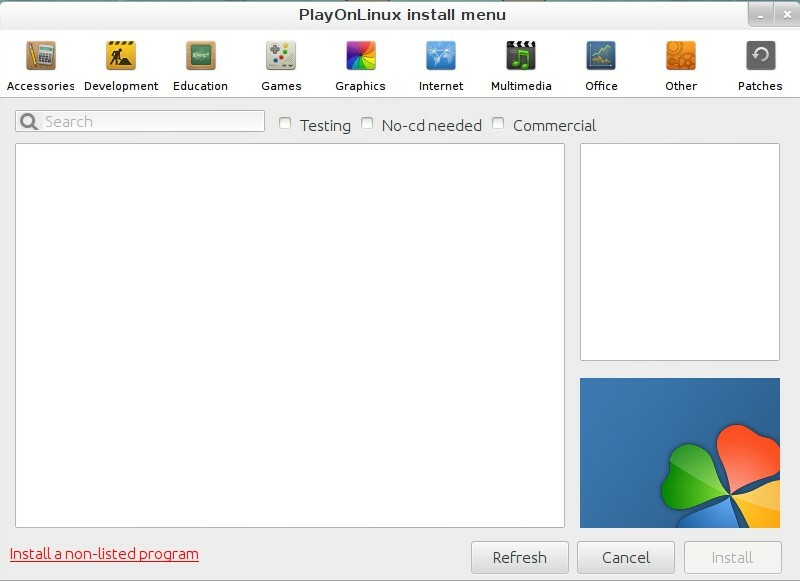 Open the Ubuntu Software Center, search for (use the upper right corner search box) and install PlayOnLinux which will install Wine along with it. Enter your user password and let the process run until it has completed. Check the acceptance box, then pick your language in the list below it to find Photoshop CS2 in your language. If Photoshop CS2 is not there in your language, you can always find the English version at the top of the list. Download the Win version and copy the serial number that is shown right next to it. 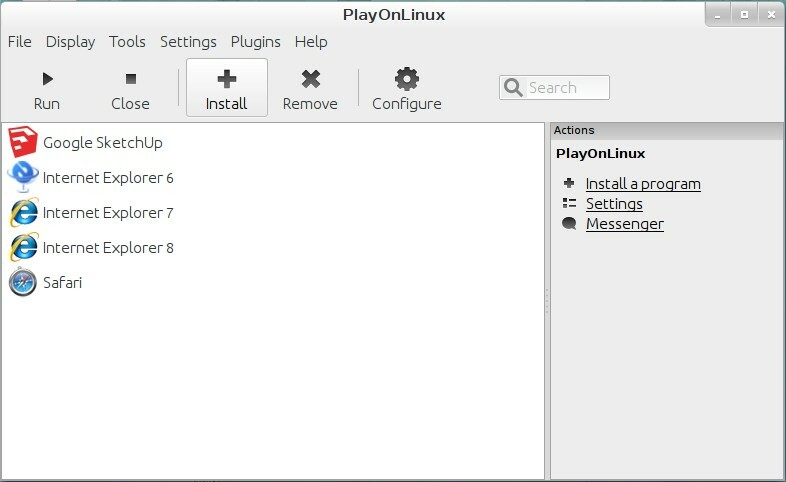 Start PlayOnLinux and hit the Install button. 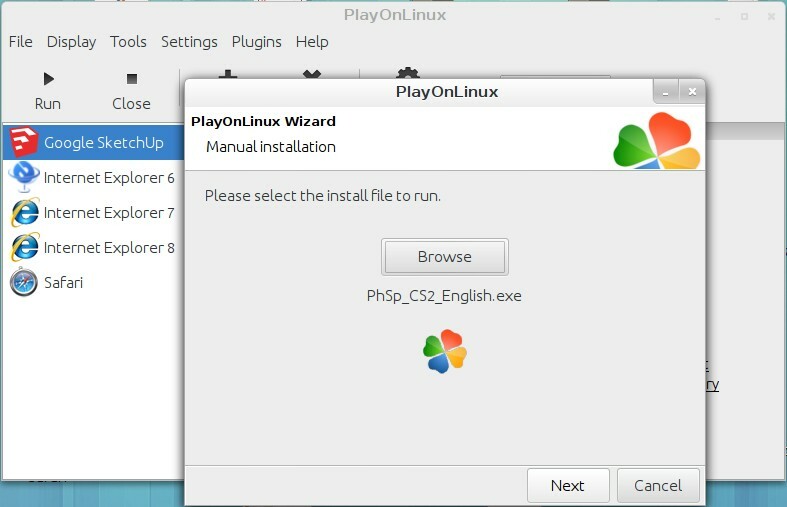 Click “Install a non-listed program” to start the installation. Next again and continue with a “32 bit installation”. During the installation of IE 8, you’ll be asked to help improve IE 8 and check for updates. Both these options can be answered negative. After this, the process demands a reboot. This is only a virtual reboot and should be allowed. 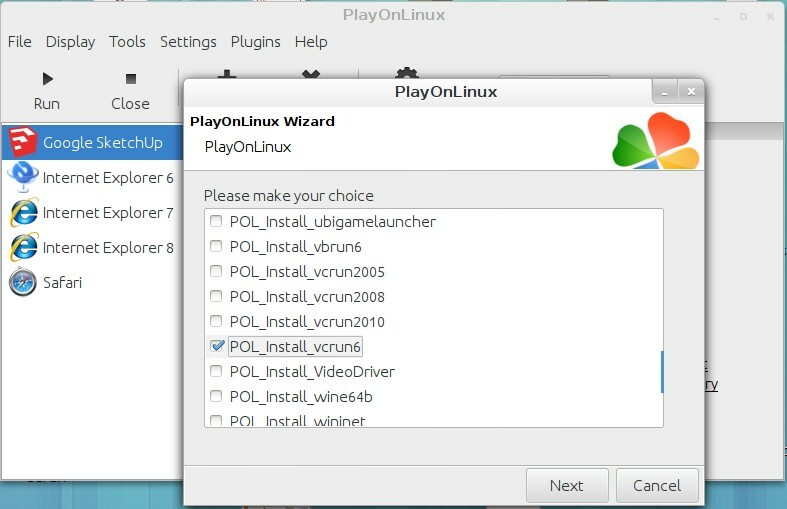 PlayOnLinux will take care of this nicely. 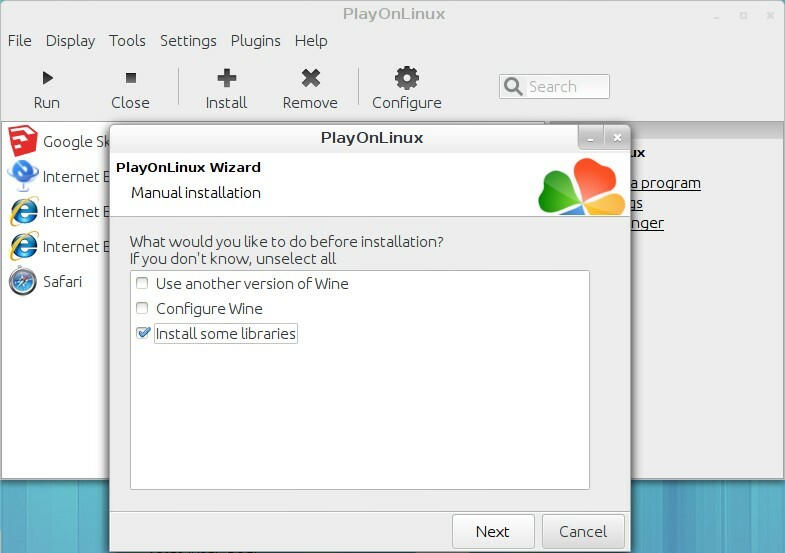 Immediately after PlayOnLinux has prepared the Wine environment, it will ask you to select an installation file. Hit the Browse button, choose the (in step 2 freshly downloaded) PhSp_CS2_English.exe file and launch installation. Fill out the Customer Information form and paste the (in step 2) copied serial number. The installation should now take you, without errors, to the final steps. Choose the file Photoshop.exe from the list and hit Next. Give it a name: Photoshop CS2. 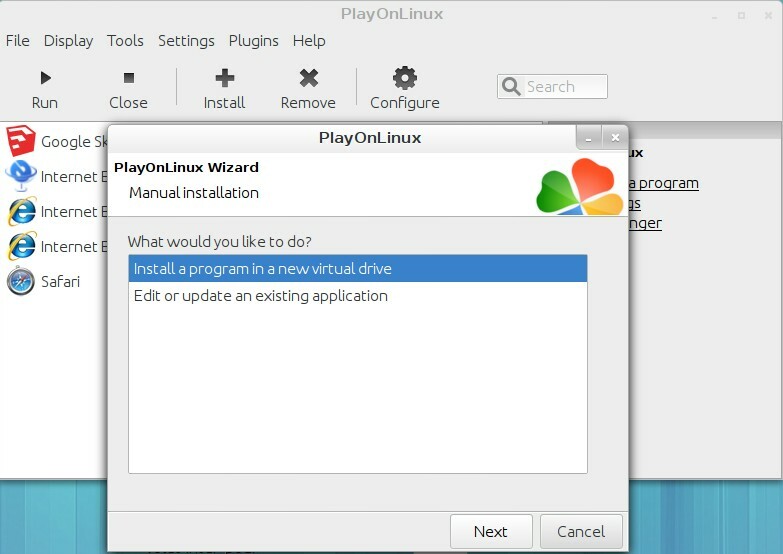 Next again and PLayOnLinux will show the same list allowing you to create another shortcut. But we don’t do that. Choose “I don’t want to make another shortcut” and hit Next. Photoshop is now installed and ready to be launched for the first time. 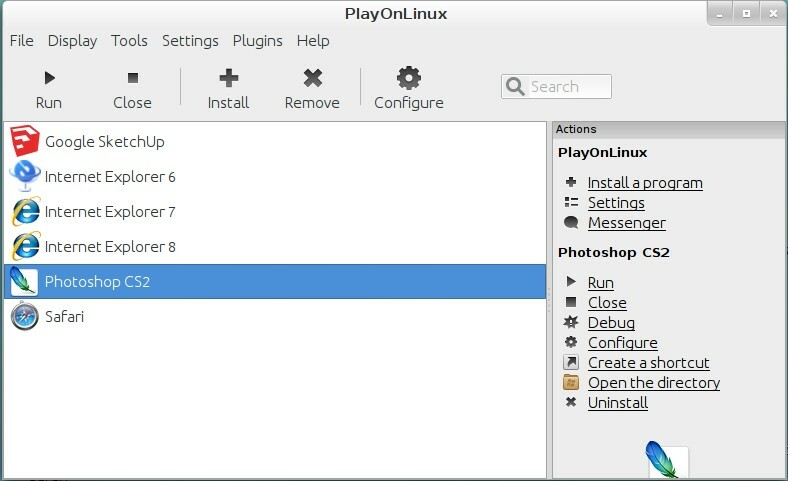 Either from within PlayOnLinux or via the Desktop shortcut, the program should start without errors and jump to the Adobe Registration form. Fill out at least the required fields (your name and email) and hit Next. If the Adobe website can be queried successfully, you’ll get a confirmation message. Next, the Update Preferences. These can all be switched off since there are no updates coming anyway. Then close Photoshop to make these changes take effect.